New vehicle – Maestro van! First report – HubNut – celebrating the average! I had a bit of a fleet crisis on my hands after the scabby sills I thought the Sirion had proved to be barely there at all. Could it be repaired? Given that it also needed a new catalyst – not cheap because no-one stocks them – I decided not. 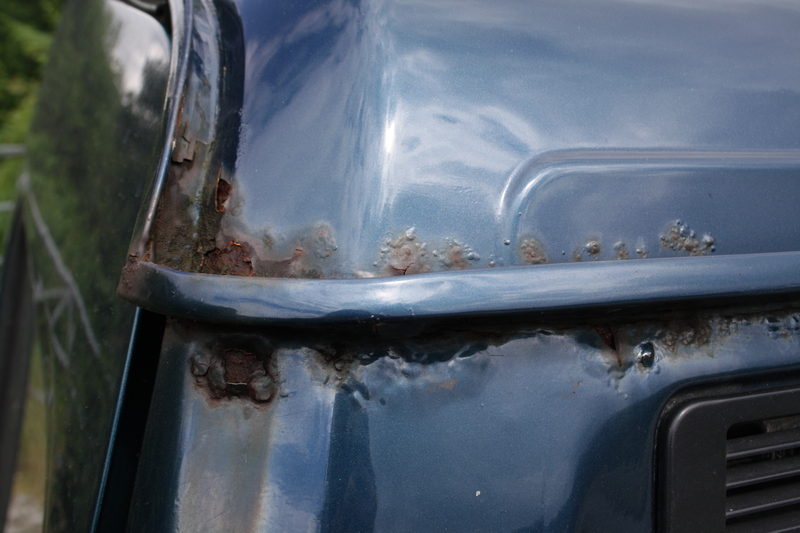 No panelwork exists either, so repairs would be very costly, with much fabrication needed. It was time to say goodbye. Fortunately, I put the Sirion in early for its test, so I had a few weeks to make alternative arrangements. It took only a few days in the end, thanks once more to the Autoshite forum. It just so happened that one of my pals there was selling an Austin Maestro van, and I know he can’t resist swap deals for dreadful cars. I offered some cash and the Sirion and yesterday, we met near Oswestry to try and decide how well we had done. It was a sad last drive in the Sirion, even though I tried to focus on the negatives. The over-assisted steering, unsettled ride and the driving position that I never did manage to find comfortable. But, the deal was done and I drove home in something very different. First impressions are that it’s bloody noisy. It has the venerable 1.3-litre A-series engine, which is good. I like it a lot. Most had the Perkins Prima though, which is a great engine, but loud. Amplified by the echo chamber of a van body, it must have been almost unbearable. As it is, at 4000rpm, it’s like being at a Machine Head concert even with petrol power. It’s a good job this ancient engine is torquey. Carpeting it out might work though. Then I’d have a basic camper. This thought has crossed my mind for when attending shows and the like. Anyway, back to driving impressions. Like any Maestro, it initially feels very capable. 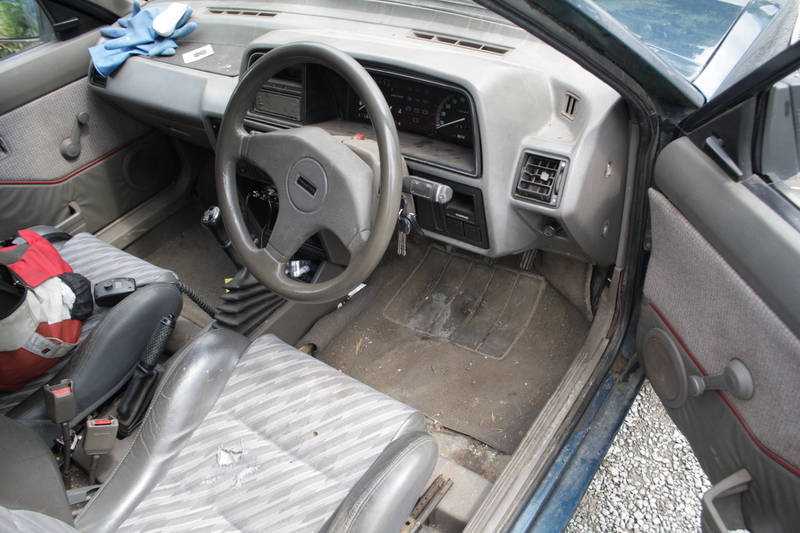 It’ll barrel along nicely (it has a five-speed gearbox) and turns in well. Push it hard though and it gets understeery, wayward and just unpleasant. Maestros (certainly non-sporty ones) just don’t like to be hurried. To be fair, the same can be said for many other 1980s hatchbacks. My VW Golf Mk2 was certainly nothing special. The van’s gearchange isn’t very pleasant either, which prevents quick changes. I can certainly drive it briskly, but really pushing on just isn’t fun. There you have it. 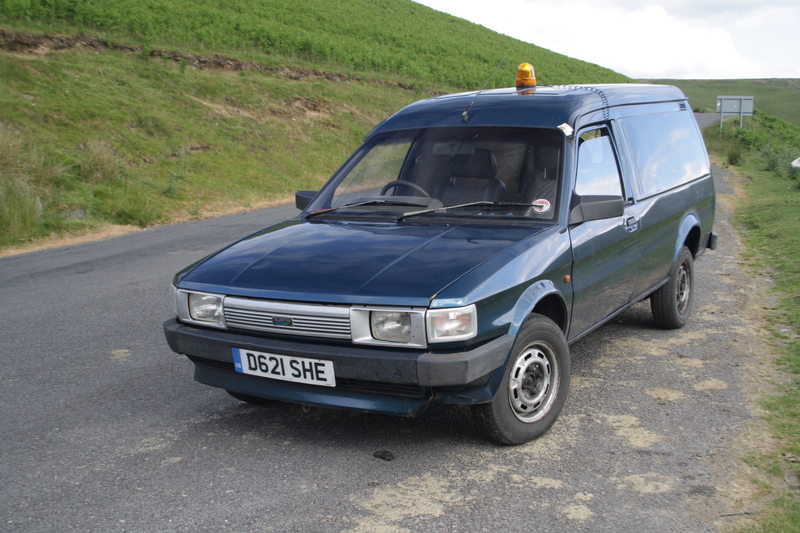 If you’re after a sports car, don’t buy a clapped-out, 27-year old van. A ClassicHub top tip! I’d normally straighten the steering wheel so it looks nice, but what’s the point? I think I like it though. I’m about 150 miles into this ownership and while it’s unrefined and a bit cumbersome, it is thoroughly charming and marvellously simple. The digital clock is probably the most exciting gadget (other than the flashing beacon on the roof, which now works). It is very unoriginal though. The paint is wrong, the seats are wrong, the steering wheel is wrong, the door cards are wrong and the instrument binnacle is also wrong. And the gearbox. It should be a four-speed. It’s also quite scabby. Did I forget to mention that? Yes, I swapped one rusty vehicle for another. The big difference is that the Maestro has MOT until April, so I’ve a bit longer to ponder what to do. With that in mind, I refuse to be drawn on how long this vehicle will remain on the fleet. I’m amazed by the attention it garners – something I didn’t expect – but far better cars have left the fleet because the handling wasn’t up to scratch. Also, the wipers are rubbish! I’ll see how I feel in a few more days and will then plan its future. PS – don’t forget to find me either on Facebook or Twitter for more regular updates! Ah a good old maetro van, good choice more practical than the sirion if only for the fact you can throw stuff in the back for the tip. Also you won’t feel guilty about the looks when you come to weld it. I’m very intrigued by that 5-speed ‘box. The only examples I’ve ever encountered on A-series lumps were very expensive after-market units which were often fitted to Minis exported to Japan. The A-series engine in the Mini/Metro/Allegro is very different, with an in-sump gearbox. In the Maestro, it’s more like the Marina but turned sideways, using a Volkswagen four or five speed gearbox. Ah, thanks. I’d just assumed the Maestro to be largely a fattened Metro, much like the Allegro was mostly a fat Mini with wet suspension. Having owned and worked on quite a few A-series Allegros and early Metros, the latter was certainly largely a rebodied Allegro, AFAIC. Whoops, getting into thread-drift territory. We used the basic version of these at work, they cruised at an indicated 90+ on the motorway, there were no cameras then and handled much better than the Bedford ha vans before them. I remember one of the lads was suffering clutch slip in his so he drove it nose up to the building wall put it in gear, dropped the clutch and revved it until it started to grip again. seemed stupid at the time and even worse now but it did work and it carried on for several months and a few thousand miles before it totally gave up. True to say they suffered much abuse! I can confirm that an indicated 80mph feels surprisingly relaxed.